Glass Fire Extinguishers Can Be Hazardous To Your Health! A recent accident at a group shop in New Hampshire brought to our attention a potential danger that could be lurking in your home, if you collect them…or in your shop, if you sell them. 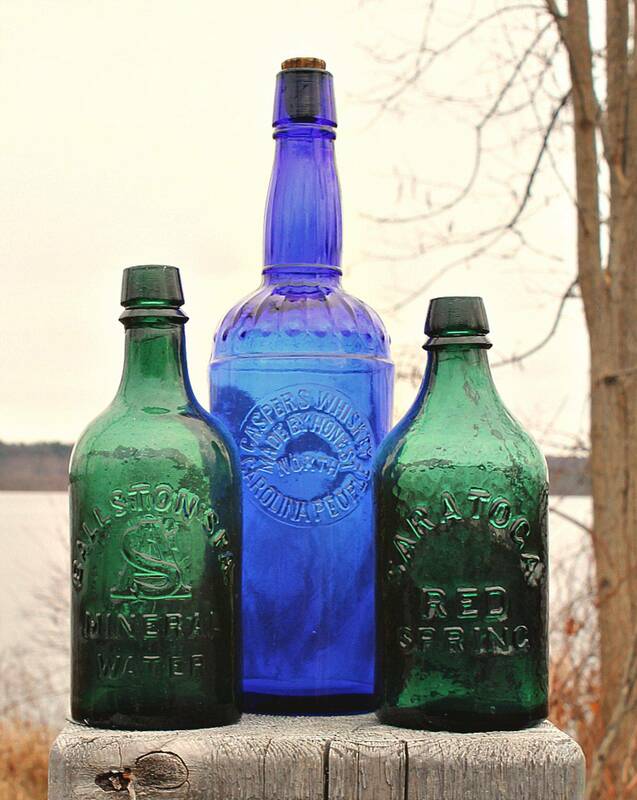 We’re talking about highly collectible glass fire extinguishers (commonly called grenades), those antique glass balls (often teardrop or bottle shaped), sometimes shaped like a glass rolling pin, that were used years ago to extinguish fires. As it turns out, many of them are filled with harmless salt water…but many others, typically the “later” mass produced variety are filled with Carbon Tetrachloride, a dangerous chemical that can potentially cause lung damage with just one exposure…liver and kidney damage…and even death. In January, 2001, when one of these glass “grenades” broke at a NH group shop, the result was a shop evacuation and five hours of dealing with the NH HazMat team. To our knowledge, this is the second time in just two years that this has happened in a local group shop. Fortunately, it would appear so far no one has been seriously injured, but the danger and potential liability prompted this report to our readers. As it turns out, Carbon Tetrachloride was the chemical of choice as it vaporizes immediately – therein lies part of its danger to humans (and all animals). It is easily absorbed both through the lungs and the skin. Note that last line: No poisonous fumes. According to the Fire Grenades website, there were over 200 companies producing these dry powder, tubular fire extinguishers. Perhaps those companies knew something that in our new century, we should heed? 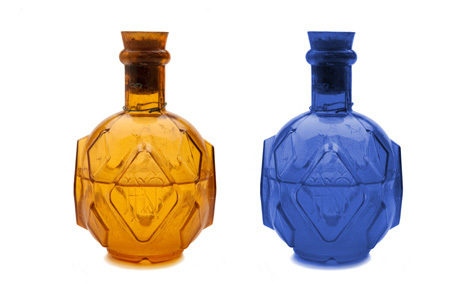 According to authors Bob and Phoebe Adams, “In early England, the people turned to the grenade, which was a bottle made of thin and fragile glass that was designed to be thrown on the fire and to break easily and spew the contents at the base of the fire and quench the flames. Because of this unique use, the grenades were designed to be light and easily handled. These grenades were to be found in homes, hotels, factories, schools, trains and other commercial buildings around the turn of the century. Basically, the fire grenade works by robbing the fire of its oxygen. Various fluids have been used in the grenade and the most effective was found to be carbon tetrachloride. In more recent years, it has been found that the carbon tet, when inhaled, can cause many respiratory problems. CAUTION IS SUGGESTED IN HANDLING ANY OF THE FIRE GRENADES. Years ago, it was used in the production of refrigeration fluid and propellants for aerosol cans, as a pesticide, as a cleaning fluid/degreasing agent at dry cleaners, and in fire extinguishers. Because of its harmful effects, these uses are now banned. In the Toxicological Profile for Carbon tetrachloride, May 1994, by the Agency for Toxic Substances, Carbon tetrachloride can enter your body through your lungs if you breathe air containing it or it can also pass through the skin into the body. When you inhale carbon tetrachloride, over 30-40% of what you inhale enters your body, where most of it temporarily accumulates in body fat. Siegal said while some of the grenades are clearly marked with their contents, many others are not. “I’d be leery of any unmarked ball,” he added, saying “they can be pretty potent, and if Carbon tetrachloride is heated, it produces Phosgene Gas, which can be deadly.” Seigal mentioned that not only was there a health danger, but the potential for possible liability issues if a shop owner had dangerous items on consignment in their shop. common compared to the earlier, more collectible variety. The earlier grenades were most commonly filled with a solution of salt and water. The most common brand was Hayward’s though there were many other makers. Some were marked for railroad use, the “rolling pin” style you mentioned was also made for railroad use--I think the PRR, but I’m not sure. I have avoided handling glass grenades because of their fragile nature and the occasionally hazardous contents,” Romano added. While some collectors are “drilling” out a hole in the cement-ended grenades and emptying the contents (“NOT RECOMMENDED!” said Seigal), one auctioneer who specializes in fire memorabilia said drilling and emptying a grenade renders it worth “half” the amount it would normally bring from a collector, as they want them intact. 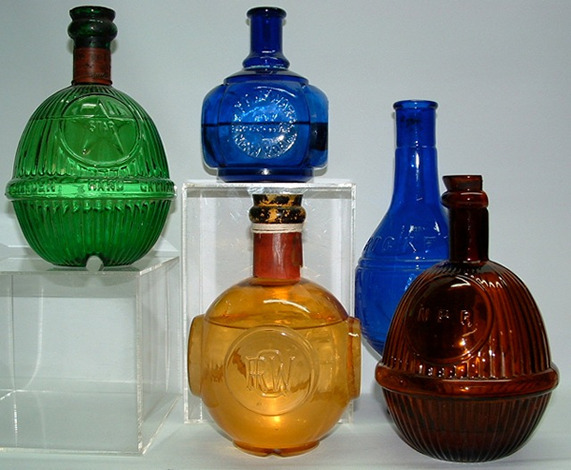 (do a search on eBay for Glass Fire Grenades, and you’ll see what we mean). Deputy Chief Seigal, who does not collect fire grenades, mentioned that many of his colleagues do collect the glass extinguishers. He said that about the only safe way to dispose of the contents was to dispose of the entire grenade (DO NOT! Put them in the rubbish). Seigal recommended that anyone who has these items and wishes to get rid of them should wait until their local town or community has a Hazardous Waste Pick-up Day (for example, Belmont holds one the last Saturday in July), when residents can bring old batteries, paint, paint thinner, and other toxic materials. Seigal and several grenade collectors with whom we spoke mentioned that many people today in the general populace do not know what these pretty glass containers are, particularly the unmarked ones. Seigal mentioned that they can still be found in old buildings and factories, and were common years ago in church basements, mounted on a wall in a metal bracket near the old furnace!